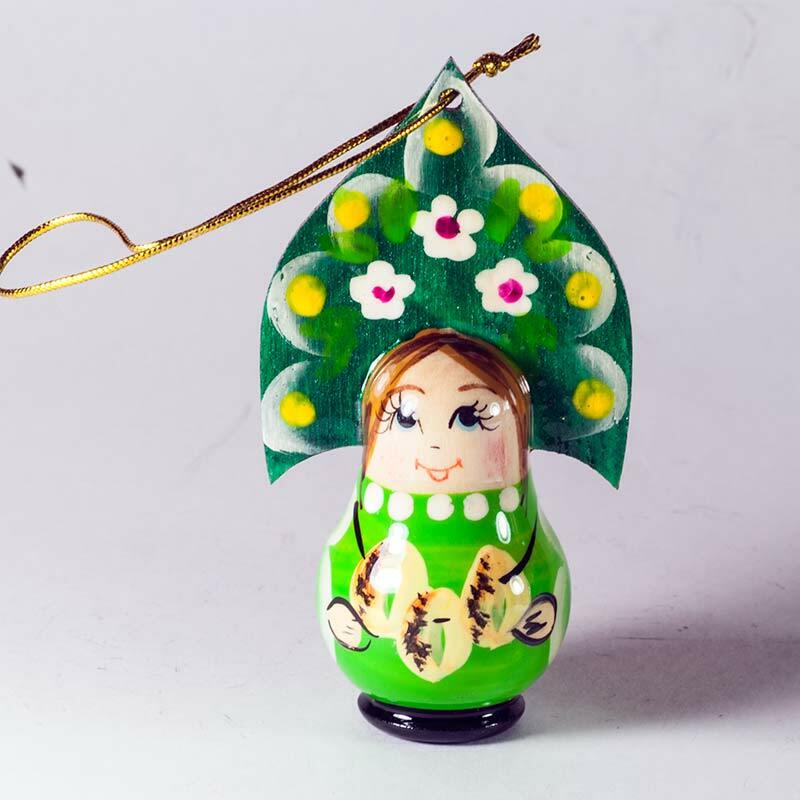 Ornament Doll Russian Girl with Pastry is made of wood, hand-painted and finished with glossy lacquer. 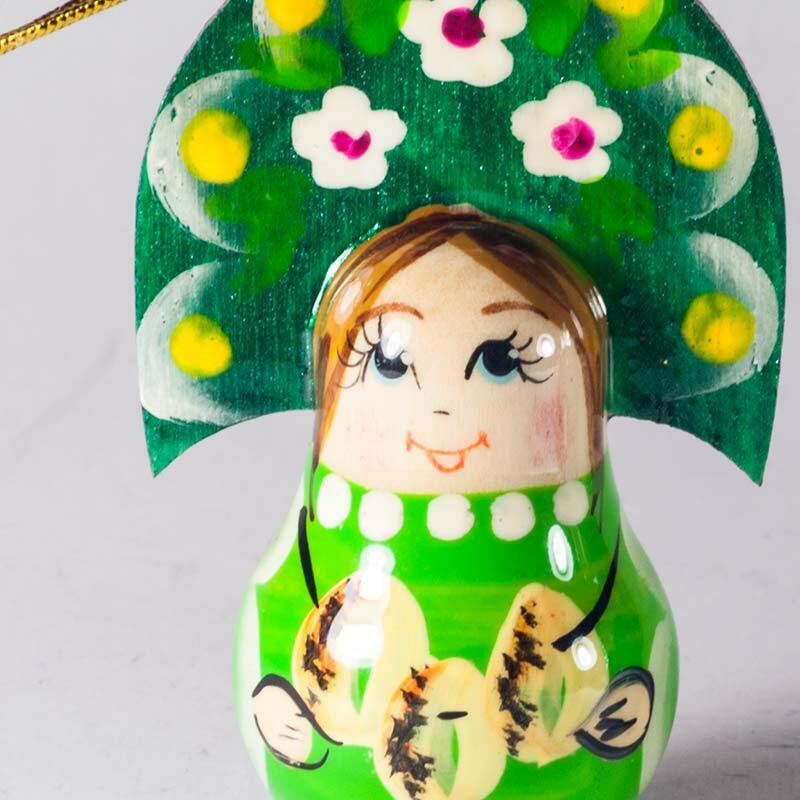 This souvenir doll describes a Russian young woman in traditional costume - long dress and in traditional Russian woman headdress which is called kokoshnik. As you can see at the pictures the dolls is painted with much details and look really very festive. There is a special string to hand the doll on your Christmas tree or somewhere else. 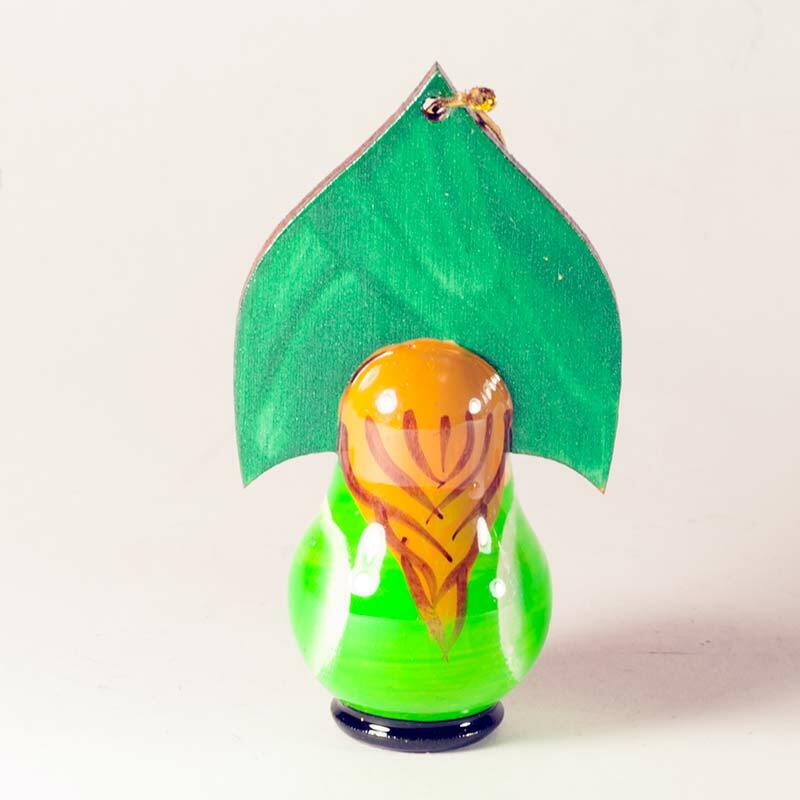 Such beautiful souvenir doll can add to your home some Russian spirit and may be a recollection about Russia.